Some of conditions causing back pain. We advise to take expert opinion on diagnosis & treatment. Arthritis is inflammation of one or more of your joints. Pain, swelling, and stiffness are the primary symptoms of arthritis. Any joint in the body may be affected by the disease, but it is particularly common in the knee. Knee arthritis can make it hard to do many everyday activities, such as walking or climbing stairs. It is a major cause of lost work time and a serious disability for many people.The most common types of arthritis are osteoarthritis and rheumatoid arthritis, but some forms affect children. Knee sprains symptoms vary considerably depending upon grade (I, II, or III). While all grades of knee sprains are likely to result in swelling and limited mobility, more severe sprains may cause audible popping noises at the time of the injury, buckling sensations, severe bruising, and more. 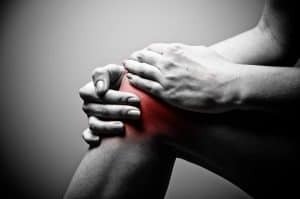 Common symptoms of knee sprains include: Pain, Knee swelling, Limited mobility, A popping sound, Inability to hold weight, Buckling of the knee, Bruising.